Our Featured Pet of the Week is Finn. He is a rescue hamster transferred to us from The Pipsqueakery. Finn came to them from Florida as part of a mass surrender. 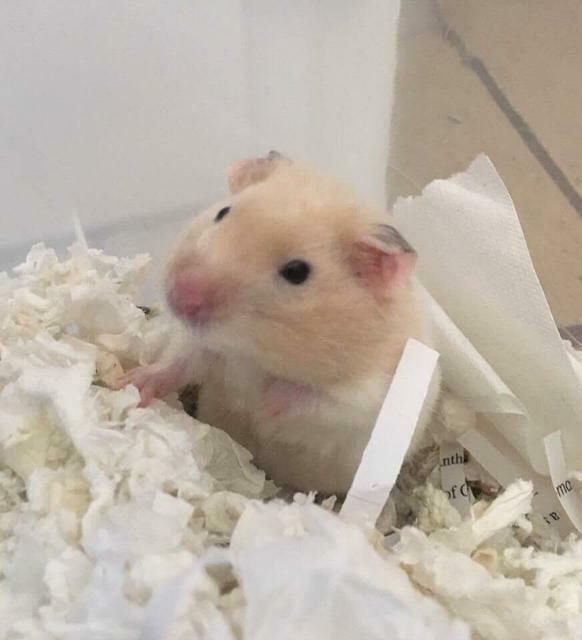 Since our sister rescue took in over 100 hamsters in this fiasco, we accepted a few of their adoptable hamsters so they could focus on the medically fragile. Finn is healthy, but is still a little more needy than most. He was orphaned at an early age, leaving him without the support of his mother when he needed it. He is receiving a lot of extra attention in his current foster home, but he would love to have a family of his own where he could feel safe and secure. If you’re interested in giving these sweet baby a chance, check out our hamster care guide, then apply online when you’re ready to add Finn to your family.